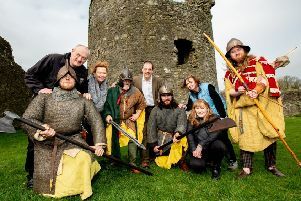 Writer Lisa McGee and the cast and crew caused quite a stir last Autumn when part of the city centre, including Shipquay Street and Guildhall Square, were cordoned off as they recreated the day Bill and wife Hilary came to town. The episode entitled ‘The President’ will recreate the historic events of November 30, 1995 when John Hume and the then Mayor of Derry, the late SDLP Councillor, John Kerr, introduced the world’s most powerful couple to the thousands of local people who turned out to catch a glimpse of them. The visit was one of several by the Clinton’s to the city, with Bill most recently flying over in March 2017 for the funeral of Martin McGuinness. Tonight’s episode will be screened at the earlier time of 9.00 p.m. on Channel 4. 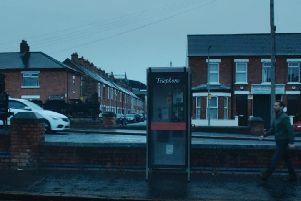 Line of Duty: Can you help us identify the Belfast filming locations?